Reading, but not writing... that's where I am now. Does it happen to you, too? I finish a book, reflect for a while, rate it on goodreads, and then I'm ready to dive into another. Here is my modest attempt to keep up. It took a month, but last week I finished the second book in Trollope's Palliser series, Phineas Finn ... 750+ pages and I was sorry to reach the end. Over the past two and a half years, I've read eight of Trollope's novels and don't plan to stop any time soon. There's nothing like catching a glimpse into Victorian England through his eyes. Trollope was a keen observer of society and his characters allow the reader to enter that world. 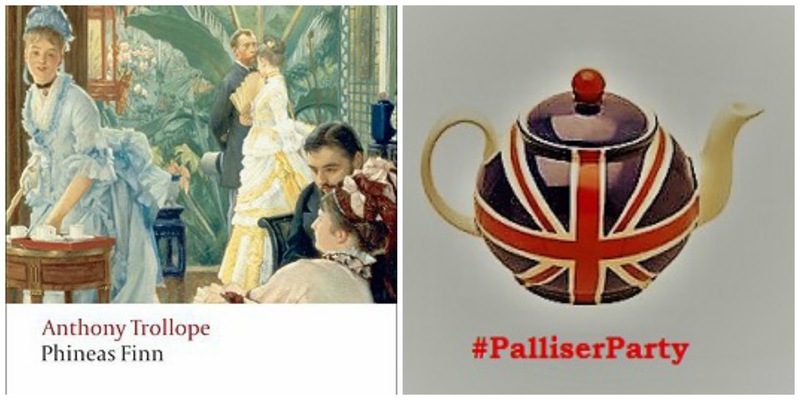 The political aspect of the Palliser series initially worried me. Would it be overwhelming or just plain dull? The answer, fortunately, is no. 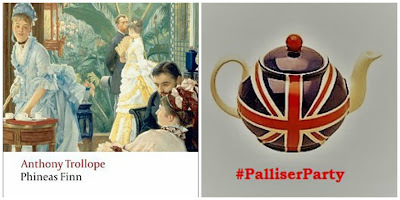 As the church and ecclesiastical life were to The Barsetshire Chronicles, politics is to the Pallisers. It provides a foundation for the lives of men... while women's lives are centered around men - their occupations, finances, and ambition. If a woman is lucky enough to possess money of her own, she may have some degree of power. For me, the main draw of a Trollope novel is always his characters... and in particular, the women. While I eventually warmed to Phineas Finn, it was Lady Laura Standish, Violet Effingham, and Madame Max Goesler who kept me turning the pages. By the end of the book I was not ready to let any of the characters go. Trollope returns to Phineas in book 4, Phineas Redux, but The Eustace Diamonds is up next. Thank you Audrey and Lisa for reading with me... should we do this again in the fall? It's time for Paris in July again and I decided to begin with this short, sweet, romantic novel. It involves a mugging, a designer handbag, a red moleskin notebook, a Modiano novel, a bookseller, and a bit of a mystery... all set in Paris, of course. At 160 pages, it was a pure delight to read. I highly recommend it. Have you noticed the emails goodreads sends after finishing a book? Initially I thought they were silly, but after completing The Red Notebook this morning, they suggested I might like The People in the Photo by Hélène Gestern. Winner of fifteen literary awards, this "dark yet touching drama deftly explores the themes of blame and forgiveness, identity and love." The debut novel will be my next stop for Paris in July. It should be available at the library by next weekend. I'll keep you posted. 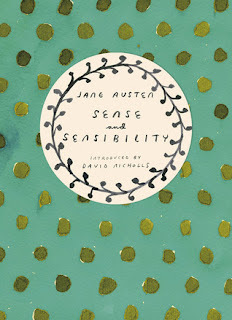 I'm reading this with James and friends for his Jane Austen Read All A-long. 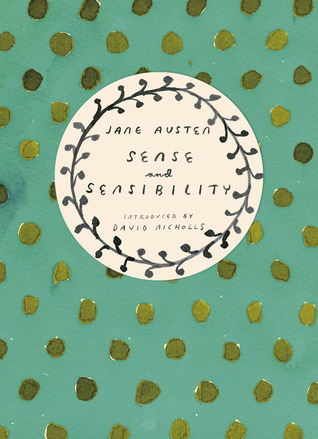 It's been two years since I last read Jane Austen and over a decade for this novel in particular. Last night I read the first chapter and fell in love with Jane's writing and story all over again. This book seemed to be everyone's favorite during Nonfiction November last year, so I was glad my book club decided to read it. About halfway through, I'm feeling completely out of sync with popular opinion... it's just okay. The author's narration isn't grabbing me either, despite the overall 4.4 rating on audible. Maybe the second half will be better? I'll leave you with this photo of Zelda enjoying a cruise around the lake. That's my daughter off to the right... she always brings a book on the boat. What have you been been reading these past couple of weeks? Thanks for mentioning Paris In July, don't know how I missed it. I just put a hold on The Red Notebook, it sounds good and I'll read it for PIJ. Zelda is a regal beauty! Vicki - Tamara made Paris in July more low key this year, so the announcement was easy to miss. Hope you like The Red Notebook! It's been the same for me...lots of reading, not much writing. But I too warmed to Phineas Finn (the character and the book) much more as it went on, and I'm looking forward to reading the next few with you! I'm glad you liked the Red Notebook, too. I also just finished Pride and Prejudice after beginning it last winter, and last nigt I treated myself to watching the first half of the 1995 film. Three hours of Colin Firth - it's a tough job but someone has to do it. :) But I was happy to see how closely the dialogue stuck to the book. Add me to the list - lots of reading but no urge to write. Lisa - Ha! I didn't notice that... and it's my foot! Let's hope the urge to write strikes again soon. Nice to see you have been enjoying some very pleasant reading. After finishing Hillbilly Elegy, I seem to be in flux again, but that always allows time to get caught up on my magazine reading. I'm going cross town next week for a two-week house/pet sit, so I'm looking for at least a couple of books to take along to read maybe poolside. Two I'll be taking are The Underground Railroad by Colson Whitehead and The Muralist by Barbara Shapiro, which was recommended a while back on a friend's IG post. You'll hear about those later. Always love seeing Zelda. I'll probably be posting a picture or two on IG of Ladybug, the dog I'll be looking after starting next week. Have a great week! Ooh, I think I might have The Red Notebook! Kathy - I hope you do... it's good!! I think we all deserve not writing about a book or two every once in a while! Zelda is beautiful! Congratulations on finishing Phineas Finn! As much as I love these books, and as much as I love politics I must admit that some of the very extensive forays into nineteenth century English politics did bore me a little in the Phineas books. I recently completed Phineas Redux. I found The Eustace Diamonds to be a bit different from the other books. I am curious as to what you will think of the one. Brian - I'll admit to getting a little lost during some of the political asides, but it didn't bother me as much as expected. Looking forward to more of Phineas, but was a little disappointed to come across a little spoiler in my Oxford Trollope Companion. Other readers have said the same thing about The Eustace Diamonds and that makes me even more curious... I plan to start after Labor Day. I admire your persistence in reading the Anthony Trollope series. Now that the weather is nice, I'm back to reading three books at a time- one on my Kindle while on the treadmill, one while sunning on the roof and one at night. Diane - I'm a little surprised by all the pleasure I've found in reading Trollope... but will admit that reading him with friends has added to the experience. Every now and then I try to read three books at once, but often end up frustrated when one of them 'wins' and the others get neglected. Two is most comfortable for me - one print and one audio. Zelda is very pretty! I usually like to write about a book, the morning after I've completed it. Otherwise, I might forget about my impressions. I try to give myself about a week for contemplation before I post. Once in awhile, I don't have much to say. Looks like you are having a terrific summer! I like seeing your short paragraphs about the books you read. I don't always have time to read a long, in depth review. Zelda is gorgeous. There are many greyhounds who have been adopted in South Hobart. They are lovely dogs. Pam - I was having less and less time (and patience) for long reviews, so that was behind my decision to switch to a shorter format, too. I'm happy to hear greyhound adoption is thriving in South Hobart.... they make such wonderful pets! You have me wanting to read Trollope. I've really enjoyed your descriptions of his books and the characters do sound wonderfully real. That's too bad about Lab Girl. It's been on my radar but hasn't been high on my list. It's good to have a balancing opinion to all the rave reviews. I just finished A Paris All My Own which was a compilation of essays by different amazing women authors and I absolutely loved it. Have a great week! Katherine - I ended up liking Lab Girl more in the second half. Can't wait to see what my book club's reaction will be. Not reading or writing! Just walking and looking for whales. :) You're doing with Trollope what I did with Wharton many years ago. I read so many of her books! I miss the days of reading a favorite author like that. Now I seem to read all the latest thrillers and whatever catches my eye on Goodreads. I thought I'd read more in retirement, but so far that hasn't happened. Maybe when the rains arrive in the winter? 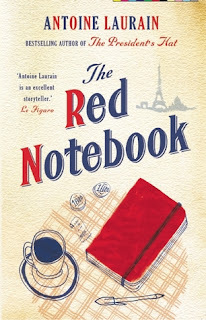 The Red Notebook caught my attention last year when Andi mentioned it. Good to know it's a winner. I'll see if the library has a copy. I'm trying to refrain from any book purchases for a bit. No room and far too many unread books on the shelves. Hmmm, Lab Girl isn't quite a hit with you, eh? I felt that way after listening to H is for Hawk. It was good and I loved the reader/author, but it didn't knock my socks off. Actually, my audio time isn't what it used to be. I'd rather listen to the waves and seabirds than a book, at least for now. Again, maybe this winter. Les - Walking and looking for whales sounds pretty wonderful to me! It sounds like you are settling in and embracing your retirement adventures. I'm hoping it will be the same here. The Red Notebook was a delightful read and last night I finished The People in the Photo, which I loved! Lab Girl did improve for me in the second half, but it will not be a favorite. Hi JoAnn: love to see the photo of Zelda. Glad you're enjoying lake life. 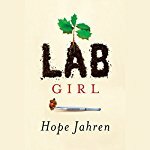 You're not alone about Lab Girl; I wasn't overly taken with it either. It seemed more about her relationship with her Lab partner over the years. I don't think it gets better in the 2nd half. I thought the beginning was better. uh-oh. Hope you recovered from the storms and are enjoying other reads. cheers. Susan - I finally did get more engaged in Lab Girl in the second half, but still can't really recommend it. My book club meets tomorrow... can't wait to hear what they thought. JoAnn - you know how to enjoy summer. It also looks like your summer reading is going well. I'm finding less reading time this summer for some reason but, hope to remedy that. Just finished The Leavers; Lisa Ko - part mystery and social justice issues - 4/5 stars and Ruth Ware's latest, The Lying Game - 4/5 stars. Diane - I've been eyeing The Leaver and might read it now that I know you liked it. I'm enjoying your photos on instagram... looks like you're having a wonderful summer, too! Gotta love a 750 page book that keeps you wanting more! Zelda is such a princess--great name for such a glamorous girl dog. I ended up liking Lab Girl, but midway through was wondering whether I would end up liking it. It was also an audio for me. Trollope is such a joy--I agree, it's the women's stories that keep me coming back to him.